Motivate and encourage your supportive team using the teamwork PowerPoint template. 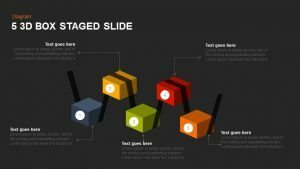 The creative slide design represents the involvement of individual performance to reach the desired goal. Teamwork is the essential ingredient of organizational success or improvement. This business template displays the inevitability of teamwork to grab company objectives and vision. Behind every organizational success there is a great team. In sportive games, each teammate plays a specific, meaningful role. Similarly, organizations or business need a much more combination team to play to fulfill the company goals. Teamwork at the workplace has been demonstrated to increase efficiency, improve communication, idea generation, distribute workload, and establish a culture in which employee feels a sense of belonging and empowerment. Teamwork is the energy source that allows ordinary people to attain extra-ordinary results. 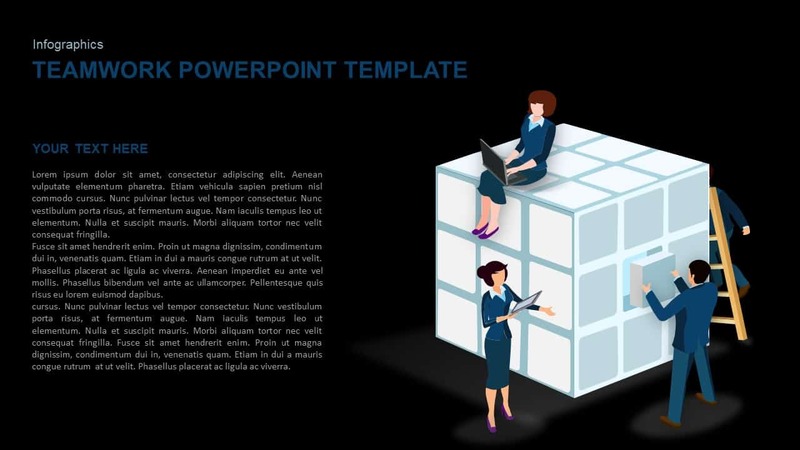 Teamwork PowerPoint template is a simple illustration showing members of team engaging in a creative and constructive work. They are building a cube structure with definite roles and duties. 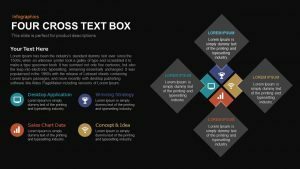 The metaphor teamwork PowerPoint template displays the constructive engagements would be leads to the completion of a project. In its modest form, teamwork is an action in which supporters of an organization come together to work toward a common goal or set of goals. At present, teamwork can happen in-person or online, todays teams are much different than they were in the past. Besides, teamwork in the workplace is an important factor for project success. As a result, developing an effective project team is one of the primary responsibilities of project managers. 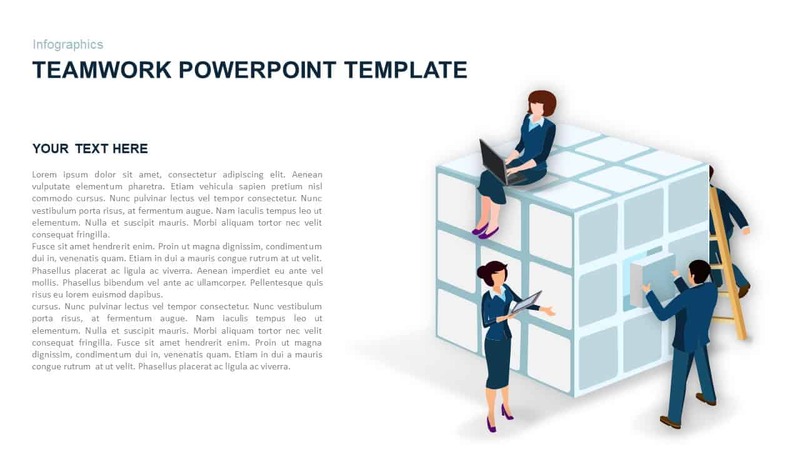 Project managers and other professionals can download this incredible teamwork PowerPoint template to illustrate their ideas before the team members. The teamwork template for PowerPoint presentation is ideal for organizational reports. It is also applicable in team building and leadership training. The single slide appears in white background and human vector graphics. 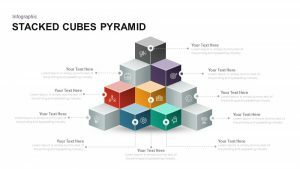 The customizable diagram allows changing the object and shapes. 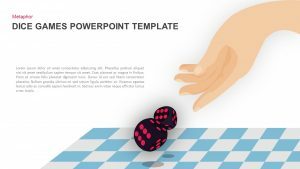 Check out teamwork concept metaphor template for PowerPoint and keynote to supplement discussion points downloadable from slide bazaar gallery.